Base Board for attaching to Column Kaiser Base Board Matte gray laminated base board with mounted base for attaching column. 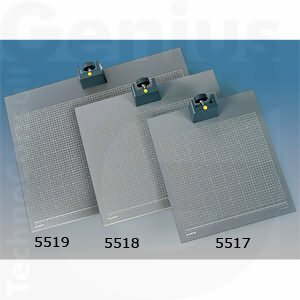 Printed fine grid with inch/cm scale. Spirit level in base. Individually height-adjustable feet. Approximately 23.6x19.7x1.3 in/600x500x32 mm.